BUFFALO GROVE, Ill. (WLS) -- A Buffalo Grove man is accused of punching a Metra conductor in the face and trying to push him down a stairway at Chicago's Union Station. 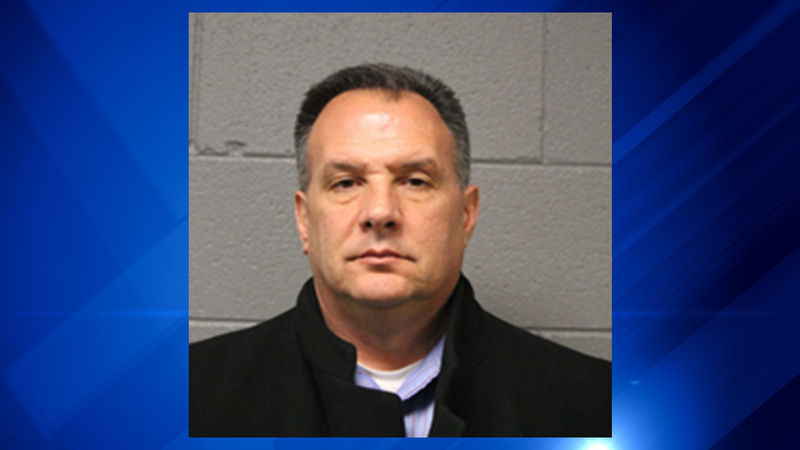 George Kopsias, 51, was charged with two felony counts of aggravated battery to a transit employee in connection with the incident, Metra said in a statement. According to Metra police, Kopsias boarded a North Central Service train on Dec. 8, where he punched a conductor before exiting the train. He then walked to the Madison Street exit of the station while pushing a baby stroller with his wife and three children. The conductor followed Kopsias up the stairs from the platform to Madison, where Kopsias then tried to push him down the stairs. Metra said the conductor sustained facial injuries. Metra investigators identified Kopsias using surveillance video and other intelligence. Kopsias is scheduled to appear in bond court on Wednesday morning.